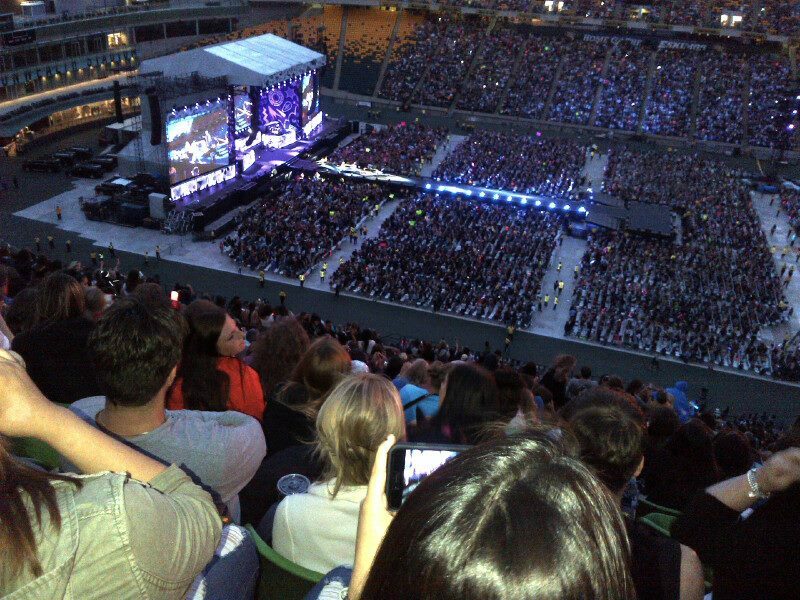 My view at the One Direction concert in Edmonton on July 21, 2015. I took a 12-year-old girl to the show after her mother promised to kill one of my enemies in exchange. Ask a Trainer: Can I Work Out in a Hotel Room?